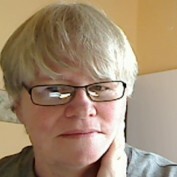 I am a freelance writer, faculty trainer, and online learning specialist. I am the Director of the Center for Writing Excellence (www.janiewrites.com) where I run a really fun fiction contest, teach great writing courses, hold webinars, and have an online, live, course on how to set up your own blog! I have been writing since I was a teenager, have published articles in magazines, newspapers, and many newsletters. My family are all writers in some form or other and I published a family anthology a couple years ago with submissions from my parents, brothers, children and grandchildren. It was a great Christmas present and a wonderful way to showcase my family's talent.